Each summer, we offer a workshop. 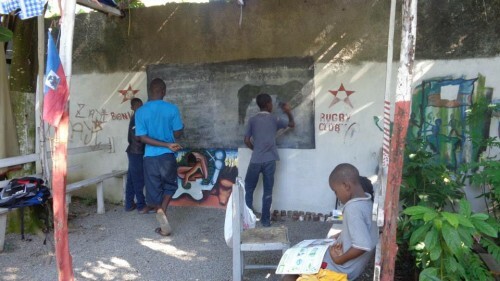 In the first year we held an art and sports camp for 40 Haitian children by using a local orphanage. Eight students from Orcas traveled to NYC, where they met 14 students who collected 40 backpacks and school supplies and delivered them to Haiti. They also helped install a garden at a Haitian school. The second year, there were two ESL classes taught – one for 20 adults and another for 25 children. In 2012, an art workshop was created with local Limbe artists and kids. In 2013, we hosted an art workshop taught by residents of Limbe. 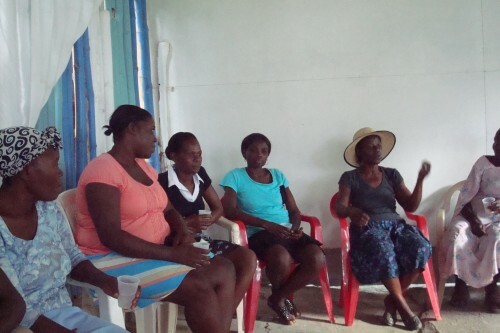 That February 2014 we held a week-long agricultural workshop, taught by Haitians. 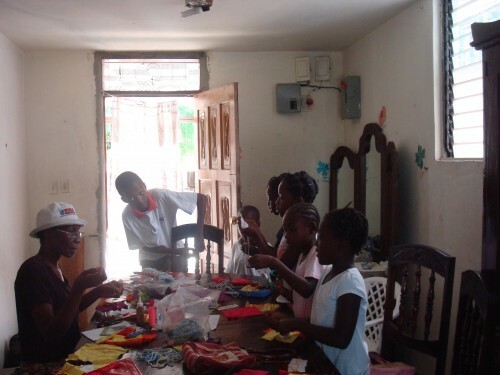 With each class or workshop we offer, the network of Haitians helping Haitians grows. To help it continue to grow we must expand our scope into the world of IT. Over the past year countless students have expressed the need for more computer access and literacy. Helping Hands wants to open a center that will offer computer literacy classes, and access to the global classroom. In order for Haitian students to compete with their peers abroad, they must be given the same opportunities. As traveling outside of the country is not an option for most, the computer provides that link. In a country that has no regular electric service, many students use the glow of the street lamps as their night study hall. Our center would also provide an evening study space for them. The center would generate a revenue stream for Helping Hands. We will be able to offer copy services and document typing for students and professionals alike. Helping Hands currently has a small garden and those using the computers could also learn to grow vegetables. We want not to only help fill their minds but also their stomachs. We currently have 3 refurbished laptops, a router, and printer for the computer lab. We need funds to purchase batteries, a new inverter and solar panels, as our small generator cannot provide the power necessary to run the computers, etc..
Our team on Orcas is busy putting on bake sale this summer to help raise part of the money needed. we are also researching grants to make this a reality. Last Fall, I made the commitment to remain in Haiti long term at the center in Limbe. This is a decision I’ve been struggling with since my return in January. Along with the many difficulties encountered when working with a community who doesn’t welcome change, there are personal ones as well. is to move in the direction of healthier lifestyle and justice for all, there needs to be more places where the people feel comfortable to ask questions and find the answers they seek. As for me, there are days when it feels like I’m wasting my time and nothing can be done to help shift the deep apathy that most people live with, and I should pack my bags and head back to the idyllic life of Orcas Island. However today is not one of those days!!! So, I hope the town powers goes off sometime today so I can take a nap midday. Since it’s Friday and the bar is sure to be open late and the rugby team will be over early tomorrow for us do some work in the garden. 2013 has been a year of progress and retrospection for Team Noramise. January found us in the mountains of Ravine des Roches, launching our pilot reforestation work. With funding from an Indiegogo campaign, the participation of three international volunteers and 13 residents of Ravine des Roches residents, we built several terraces and reinforced them with vertiver. On these terraces we planted, pidgeon peas, black beans, sweet potatoes and yam. The first of the pidgeon peas are being harvested and space to plant elsewhere. We also started a small tree nursery. Some of which have been transplanted to the hillside. Due to the opening of a bar next door to our center in Limbe, we are looking for a new for location. Helping Hands Noramise(HHN) Director, Rosedanie Cadet has spent the past three months is Haiti looking for a new location. The search continues and we are certain that our new home is just around the corner. In the meantime, we are continuing activities at the center and elsewhere in the North. 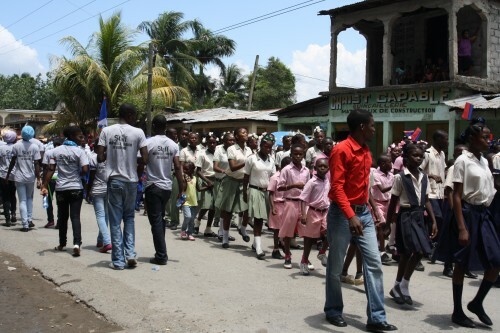 On May 18th, HHN joined with the College St. Joseph, the members of the Women’s Baptist Association and other schools in Limbe for the parade commemorating Haitian Flag Day. This is an annual event that fosters civic pride in the community. We also hosted the youth group Nouvelle Vision. 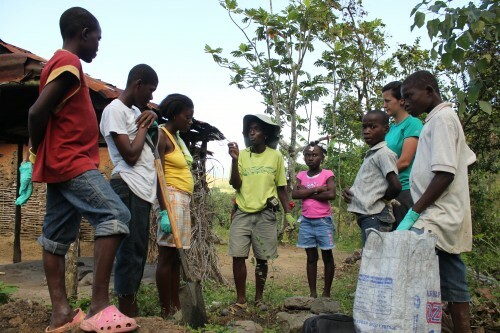 Nouvelle Vision a youth group from the town of Borgne, participated in our pilot reforestation project at Ravine des Roches in January. The partnership with this youth group is building friendships between Limbe and Borgne youths. The Limbe Rugby club then visited Borgne in late July and took part in a rally hosted by Nouvelle Vision. We are looking forward to future collaborations between our two groups. 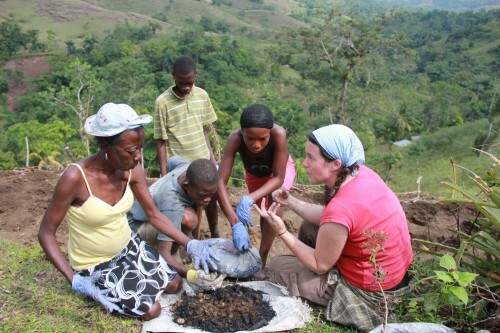 In June we met with several women’s groups in the city of Quartier Morin and held a compost making workshop. These groups have small plots of land and seeds to start community gardens. We will be returning to Quartier Morin in the Fall for further agriculture workshops with them. This work is in keeping with our goal of supporting food security in the North. In July, we held a three day Arts and Crafts camp for 20 children, coupled with one day of leadership training at the center. 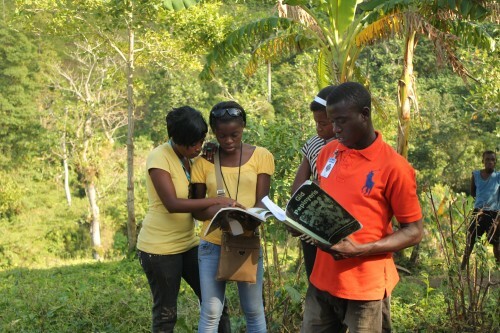 Since we began our work in Limbe, this was the first year that all workshops were taught by local Haitians. Sister Irose Joseph and Donalson Louis, who have been involved with us since February 2010, were two of the instructors and we were able to pay them for their work. On the final day, we received a visit from 13 youths from Brotherhood/Sister Sol organization. 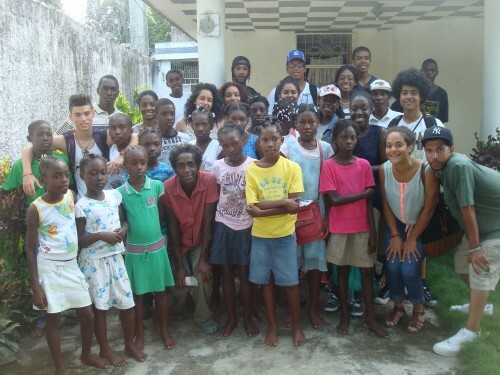 These youths from Harlem were traveling through the Dominican Republic and Haiti visiting various organizations. The purpose of the trip was to connect with their peers in the two countries. The two groups shared and hour or so exchanging questions and songs. HHN and Brotherhood/Sister Sol will be working to establish a future collaboration. In the next few months, we will be assessing this year’s activities. Our findings will be guide us in writing the budget and schedule for the coming year. Please accept a heartfelt thank you from Team Noramise for your continued support. Three years ago last month, as I tried to find news of my friends and family in Port-au-Prince after the earthquake, my life changed overnight. Not being able to find a non-profit organization that would accept me and the funds raised by my Orcas community, I decided to start my own. Upon sending out a mass e-mail to friends across the globe, the response was overwhelming. During theses past three years, the Encouragement, Love and Support you have all given has been humbling to me. We at Helping Hands Noramise, have been steadily doing what we can to help empower Haitian citizens in Limbé and elsewhere in the country. We have produced and distributed chlorine and other water purifying agents to more than 100 families during the cholera epidemic, Your financial and emotional support has been invaluable in that work. We ave produced chlorine and distributed other water purifying resources to over 100 families, during the cholera epidemic. We’ve held Art, English and Nutrition classes at our center in Limbé. Our center is also home to a small library, several models of fuel efficient and healthier cooking stoves . These stoves are healthier for the women who use them by burning cleaner, healthy for the environment by reducing the need to cut trees for charcoal production. We planted a garden at our center, one with the Masabiel farmers association and most recently, have begun a reforestation and food growing garden in the moutains of Ravine de Roche. A community located about a mile outside of Limbe.Your financial and emotional support has been invaluable in that work. The latest work in Ravine des Roches has been the the most rewarding and encouraging by far. The residents of this area are mostly peasant farmers who receive very little aid from outsiders. They have been the most responsive to the idea of working the land in order to provide for themselves and their families. They also understand that as long as they can effect some positive change in their lives, no matter how small, there is hope for tomorrow. The first day I climbed the mountain to start the work, many asked me what it was I and the “blans” had brought for them. My standard answer to this question is : “knowledge”. Usually those hearing this tell me it’s not knowledge they need but rather money. It was refreshing to find a group of people who were hungry for the knowledge and willing to come see what they could learn. We started each morning with coffee at Con’s coffee shop beside the river. We then continued up the mountain and sat in a circle to introduce ourselves, tell each other how we were feeling and make plans for the day’s work. The common threads in all the morning talks were hunger and illness. 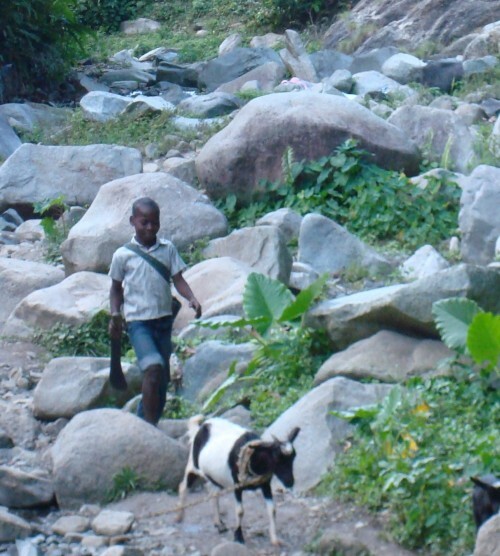 Many Haitian suffer from high blood pressure, diabetes, and intestinal problems. The children usually have some sort of pulmonary disorder and a constant runny nose. These issues stem from the overwhelming fact that they are all malnourished. There are many factors leading to malnutrition in Haiti. The main factor being that Haiti currently imports some 95% of all the food it consumes. This is an island nation that was dubbed “the Pearl” of the Antilles and produced more revenue for France than any of it’s other colonies. The Arawak and Taino who lived on the island before it’s “discovery” by Columbus were farmers and cultivators. The African slaves brought to the island by both the Spanish and French were also farmers. They valued the land and its products so much, that they hid seed in their clothing, hair and belongings and brought them along. So you may ask “what happened to destroy the agriCULTURE of the island?”. That is a question too vast to fully address here in this post. Suffice to say it is the same that has happened to many small farmers worldwide: think “AGRO BUSINESS”. I encourage you all reading this to do some research of your own to find other answers. Also feel free to comment on this post via our Facebook page and we can begin a conversation. Back to what is going on back in Limbé and Ravine de Roches. 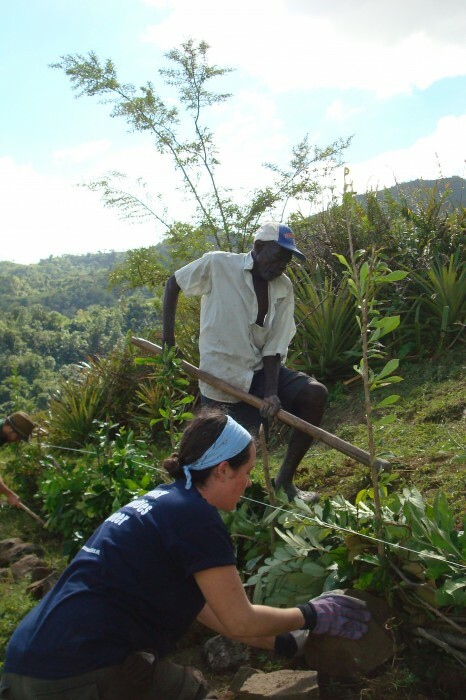 We spent about 10 days working on the hillside with 15-20 members of the community, mostly women and young boys. A few men came by each day and didn’t return a second day, all except Orkel who is the caretaker and main farmer of this particular hillside. Orkel is a gentle giant. He has been cultivating the land for over 60yrs. When Jim had any questions regarding plant species of the region, Orkel was the go to guy. He wakes up early every day and is either tilling, planting or going to help a neighbor build a house. His calm presence during our time on the mountain was inspirational and reassuring. The women and youth who joined us, Celamise, Clothide, Mercilia, Miralta, Sonya, Dieulans, Macenson, and Milton all shared with us their hopes and aspirations. The women, most of whom had little or no formal education work hard to make sure that their children can go to school in town in order to have a better future. The young boys all have animals they take care of, before and after school. Milton sold one of his goats last year to pay for school and also bought a couple of chickens and now has eggs to eat. Dieulans was not able to attend school for a while – even though his mother had paid the tuition – because he had no shoes. So at the end of the week, we provided him with a new pair of hiking shoes and now he’s back in school. Macenson told me what leaves he feeds his goats when they are sick and also when they are milking. When I asked him how he knew these things, he said his mother taught him. All these people are not lazy nor are they looking for a handout. Rather, they are in need of support, they need to know how to replenish the soil in order to raise their crop yields. So we taught them how to make compost piles and also held a bio-char workshop for them. They need pumps to get bring water up from the river to irrigate their crops. We started a small nursery along the river. 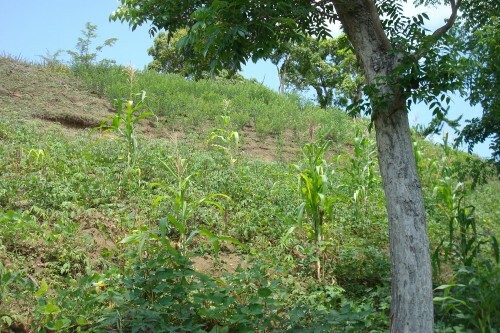 These trees will be transplanted to the hillside once the yams, peas and sweet manioc have been harvested. They want to provide for their families the basic necessities that many of us take for granted each day. Nutritious food, shelter and education for themselves and their families. What we at Helping Hands Noramise are providing resources and the knowledge that Celamise needs in order to make the right choices for her family, a better breed of goat for Macenson and Milton, so they can get a higher price at the market when they sell their next goat. The chance for them to share their knowledge with others and understand that they can effect positive change in their community equals empowerment. Being empowered gives them the confidence to continue making decisions for themselves.